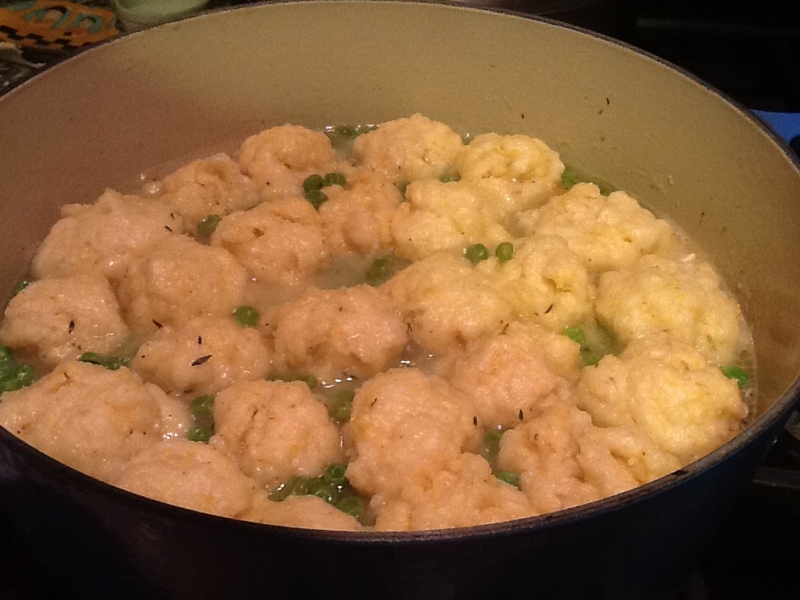 Chicken & Dumplings: The Return of Comfort Food | I Am Not A Restaurant! Mar20March 20, 2013 • By Betsy Karetnick • This entry was posted in Chicken, Dish of the Day, dumplings, Kitchen Help, Recipes and tagged chicken, chicken stock, comfort food, dumplings. Bookmark the permalink. Betsy – did you find the brined chicken made the soup salty? I assume you did not add any additional salt to the pot – and removed the chicken from the bones at some point in the cooking process? Love your blog and miss you terribly on the radio!